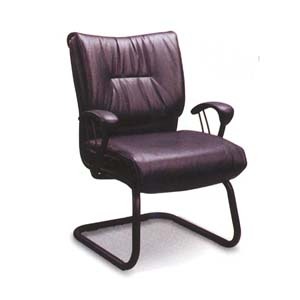 Sleek Contemporary Chair In Black Metal And Wrapped In A Durable leather Like Vinyl. Easy To Assemble. Size: 20 In. (L) x 26 1/2 In. (W) x 38 1/2 In. (H).